Warren Ellis is the award-winning writer of graphic novels, including Transmetropolitan, Fell, Ministry of Space, and Planetary. He’s also the author of the New York Times bestseller Gun Machine and the “underground classic” novel Crooked Little Vein, as well as the digital short-story Dead Pig Collector. His latest book is the novella Normal. The movie Red is based on his graphic novel of the same name, and the film Iron Man 3 is based on his Marvel Comics graphic novel Iron Man: Extremis. Warren is currently developing his graphic novel sequence with Jason Howard, Trees, for television, in concert with HardySonBaker and NBCU, and he continues to work as a screenwriter and producer in film and television. 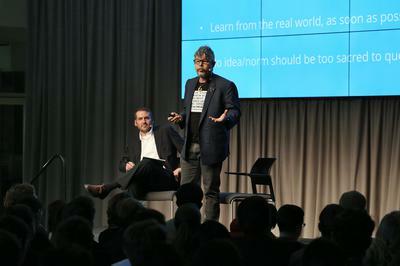 Warren has written extensively for Vice, WIRED UK, and Reuters on technological and cultural matters, and has given keynote speeches and lectures at events, such as dConstruct, ThingsCon, Improving Reality, SxSW, How The Light Gets In and Cognitive Cities. He’s currently working on a nonfiction book about the future of the city, serialising new graphic novel works, and developing and curating the revival of the Wildstorm creative library for DC Entertainment. A documentary about his work, Captured Ghosts, was released in 2012. Recognitions include the NUIG Literary and Debating Society’s President’s Medal for service to freedom of speech, the Eagle Awards Roll Of Honour for lifetime achievement in the field of comics and graphic novels, the Grand Prix de l’Imaginaire 2010, the Sidewise Award for Alternate History, and the International Horror Guild Award for illustrated narrative. He’s a Patron of the British Humanist Association, an Associate of the Institute of Atemporal Studies, and the literary editor of Edict magazine. Warren Ellis lives on the south-east coast of England in case he needs to make a quick getaway. 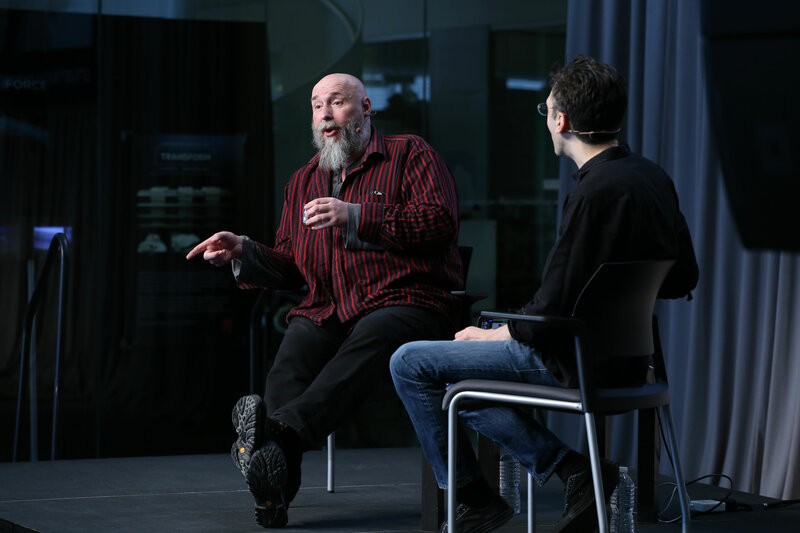 Mythophysics of the new normal: Warren Ellis in conversation with Kevin Slavin.